Meet Julian Molina the BMX rider that never backs down. 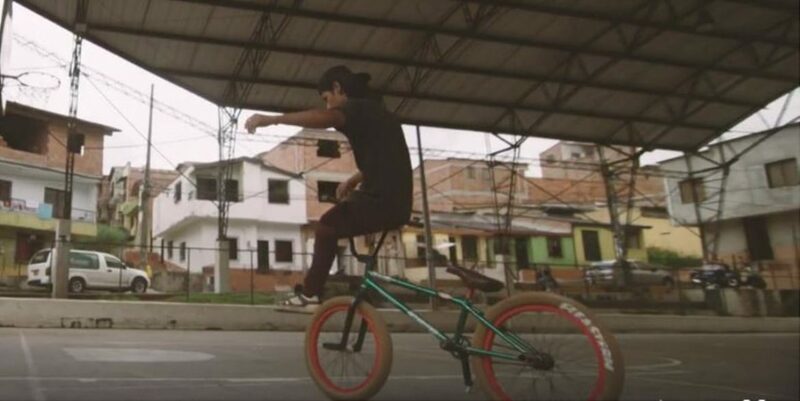 Hailing from the tiny town of Andes in Antioquia, Colombia, Juilan is somewhat of a local superstar always riding his BMX bike. Rightfully so, as Juilan does tricks on a bike that would make most of us able body riders look like amateurs. You see, Julian the BMX rider has just one leg. When he was younger he lost it after colliding with a bus on his skateboard. Julian’s foot was destroyed during the accident and after several days in the hospital the doctors decided to amputate his leg to keep the gangrene from reaching his heart and killing him. Not to be held down Julian eventually picked up a BMX bike and practiced his craft, eliminating all challenges that his disability threw at him. If you need inspiration to get out and ride a bike this is it. This is the story of Julian Molina the BMX rider.